Whatever your requirements, we are happy to work with you to create your perfect workshop solution. 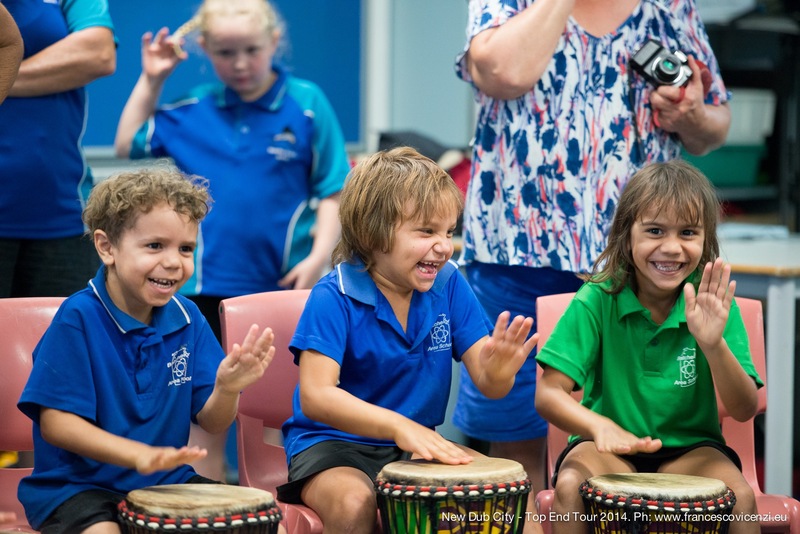 Young children love drumming and dancing! A pre-school/kindergarten workshop will allow young children to have a lot of fun whilst also practicing their motor, coordination and social skills. Each participant will have their own mini djembe to use and will be encouraged to sing, dance and drum with their peers. The workshop facilitator will talk about where they are from and will share their culture with participants. The workshop won’t only be all about drumming as we incorporate African village activities where participants will learn how to carry items such as water or food on their head – African style. They will also be able to learn about the African way of sweeping, using the Boloa (authentic West African broom). Participants will be encouraged to ask the workshop facilitator questions at the end of the workshop. Primary school workshops focus on concentration and basic co-ordination skills as students will learn ‘start and stop’, ‘loud and soft’ and how to keep a steady beat. The workshop facilitator will talk about where they are from and will share their culture with students. Story telling elements and call and response chanting are also introduced, as well as basic West African dance moves. Workshops teach basic rhythm, help improve listening and coordination skills, and encourage teamwork amongst participants. Students are encouraged to work together to keep in time and create solid sounds. Teachers are particularly appreciative of the way in which students who find school challenging are drawn into the workshop and demonstrate high levels of concentration and focus. To add another element to the workshops we can provide traditional African costumes for students to wear which is very popular amongst the younger age groups and for instances where students will be performing what they have learnt in our workshops to an audience. 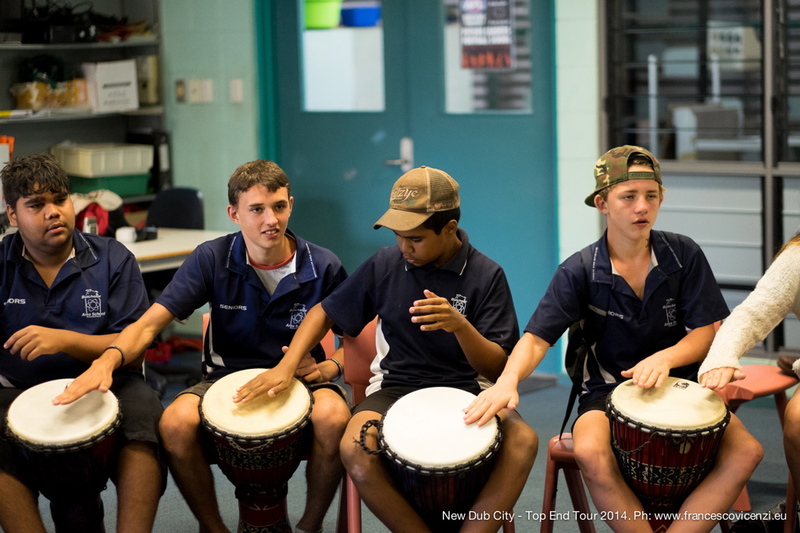 Secondary school workshops focus on challenging students to learn African rhythms and to work together as a team. Workshops teach basic rhythm, help improve listening and coordination skills, and encourage teamwork amongst participants. The workshop facilitator will talk about where they are from and will share their culture with students. Older students respond well to working as a whole class with drums. This can be a part of a music class or an element of a personal and group development course. 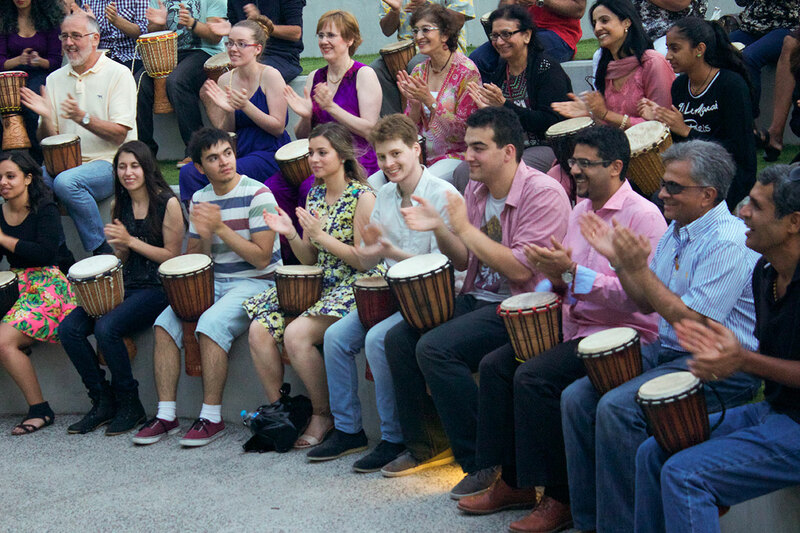 A drum circle is a great tool for uniting groups of students and can be used to counter issues such as stressful exam times, bullying, and racism. 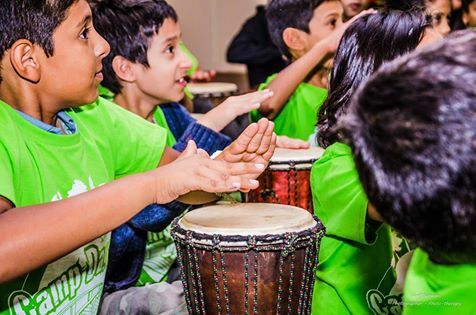 Drumming and dance workshops have the ability to improve the way in which individuals relate to each other. Team building workshops aim to bring people together and as a result enhances their work performance, creating a happier, healthier work environment. Workshops can also be therapeutic, aid in stress management and be a self-care strategy for professionals, and can be particularly beneficial for those professions where burn-out is common. Workshops teach team work and trust, foster confidence building, encourage social interaction and a supportive environment, and creativity amongst participants. Our workshops are available to all people from all walks of life. Workshops for community groups will focus on providing a therapeutic and social way of learning about African drum and dance. Facilitators have experience working with individuals with all abilities, from very young children yet to reach preschool to older people in residential care. We pride ourselves in being able to share West African culture with all people regardless of their culture, life history, cognitive abilities, physical abilities or other conditions. Hens and bucks night workshops are aimed at providing light-hearted entertainment for participants as they celebrate with the bride or groom to be. Workshops can incorporate drumming and dance, and the use of West African props, such as the Calabash (a multi-use object) for hens nights, and more of a focus on drumming for bucks nights.